In our call to Know and Love Jesus, Love and serve Others, we are reaching out to local families to provide diapers. Our goal is to work with other organizations and social groups to supplement diapers to Anderson County families who find themselves in need. Contact the Diaper Bank to arrange pick-up or drop off. 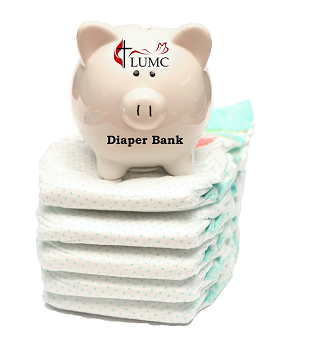 Contact the Diaper Bank for other options. How do I request diapers? How do I pick up diapers? Diapers are distributed on the 1st and 3rd Monday evening each month. Please see the calendar below for distribution dates. You may also choose to pick up your diapers at Community Action during regular business hours after the 1st and 3rd Monday each month from 6:00pm-7:00pm. The letter for Diaper Bank families and the 2018 Registration Form explain the request process.